No matter what the occasion, coffee lovers will always welcome gifts that help them celebrate their love for a good cup of joe. While good coffee beans are sure to be a hit, there are plenty of other items to consider. If you want to help your coffee lover to have the perfect cup of coffee in the morning - or any time of day or night - consider a high quality coffee maker. Think beyond the confines of the simple coffee brewer to give a gift that will help accentuate the coffee drinking experience. A French press is an excellent option for those who enjoy the full, strong flavor of coffee. French presses allow for the retention of the oils of the beans to come through in the flavor of the coffee, providing a more flavorful cup. Coffee lovers who have not yet experienced the flavor of French pressed coffee will discover a robust taste that allows them to more fully realize the intricacies of the beans. Bialetti's Preziosa is a great option as a gift. It's reasonably priced at under $30 and comes with a two year warranty. I found the Preziosa to be sturdy and stylish, and most importantly, makes a great cup of French press coffee. While there are some folks who love a simple cup of quality coffee, there are others who prefer to jazz up their drinks a bit. An espresso maker will be a welcome addition to any coffee lover's kitchen or office, especially if you accompany the gift with some high quality syrups so the recipient can experiment with some flavored coffee beverages. 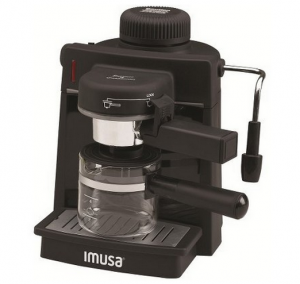 The IMUSA Electric Espresso and Cappuccino Maker provides a barista-type experience with a compact machine. Priced at around $85, this is an excellent gift option for someone who wants to make their own designer coffee drinks but doesn't want to take up much room. I found this machine to be easy to use and appreciated the beverage recipes that accompanied the unit, allowing me to get started right away with making my own lattes. The Keurig Rivo is another option that offers the simplest methods for creating espresso drinks. Using the signature Keurig pod system and a milk frother that does all the work for you, crafting a perfect drink takes very little effort. I appreciated the simplicity in the process with the Rivo and liked how I could use non-dairy milk in the frother. Priced at around $200, this is a gift that is sure to impress coffee lovers. If the person you're buying for is already set with a quality coffee maker, consider some other options that will help accentuate the coffee drinking experience. You can't go wrong with chocolate covered espresso beans as a gift for coffee lovers. These make for delicious treats that can be eaten while sipping coffee or instead snacked on in between cups. Dilettante Chocolates offers chocolate covered espresso beans at price points that range according to the size of the package you select. The flavor of these beans is delightful - not too sweet with a strong espresso flavor and a satisfying crunch. A mug or tumbler is a great option as a gift if you aren't sure about the recipient's flavor preferences. Try to find a mug or tumbler that is not only durable, but also speaks to the recipient's personal style. Personal Creations offers a personalized mug that will leave no question as to the owner of the mug. 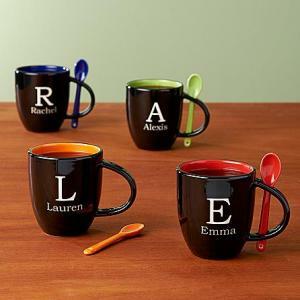 It's a great option if you want to show your coffee lover that you put some real thought into the gift, especially if you know the recipient typically adds cream or sugar to the coffee because a stirring spoon is included, nestled in the handle of the mug. I received a personalized mug and was delighted by the look and durability. Buy a personalized mug for around $25. Caffebene offers the Mazarin Tumbler, available in stores, for around $13. An attractive glass tumbler, I liked the size of this tumbler and appreciated the sturdy lid that keeps spills from happening. The tumbler is available in a variety of colors. 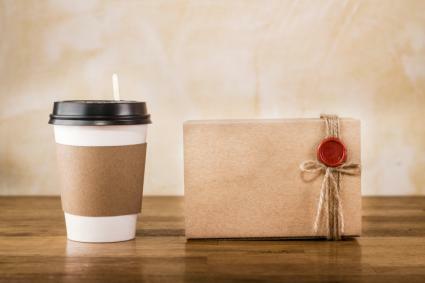 For those folks who embrace coffee as a lifestyle, consider some gifts that are coffee-themed and sure to make your recipient smile. Shirts and bags with clever coffee sayings make for great gifts, especially for coffee lovers with a sense of humor. 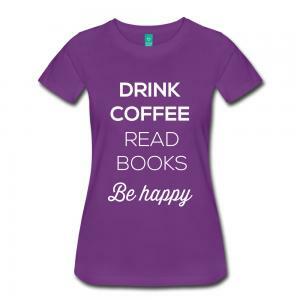 Spreadshirt sent me a t-shirt to try out that features the text, "Drink Coffee, Read Books, Be Happy." It's a high-quality, comfortable shirt that I've received many compliments on. Shirts from Spreadshirt start at around $20 and are available in a variety of colors, styles and sizes. AllPosters.com sent me coffee-themed posters to review and I think these would make excellent gifts for coffee lovers. I received one charming poster that reads, "This house runs on love, laughter and lots of strong coffee." This poster works quite well in my kitchen, but would be appropriate in an entryway as well. Shipped quickly and relatively inexpensive starting at around $24, their offerings range from comical to elegant. Choose from simple posters to mounted art. The variety is impressive and there's a good chance you'll find something to complement your recipient's decor. A gift basket featuring some coffee beans and any of the above items will be a surefire hit, but each of these gifts are special enough to stand on their own. Surprise the coffee lover in your life with a gift that acknowledges the special joy that comes with a great cup of coffee. Note: The author received review products of many of the above items at no charge.